Information Design is important because it helps visualise information. 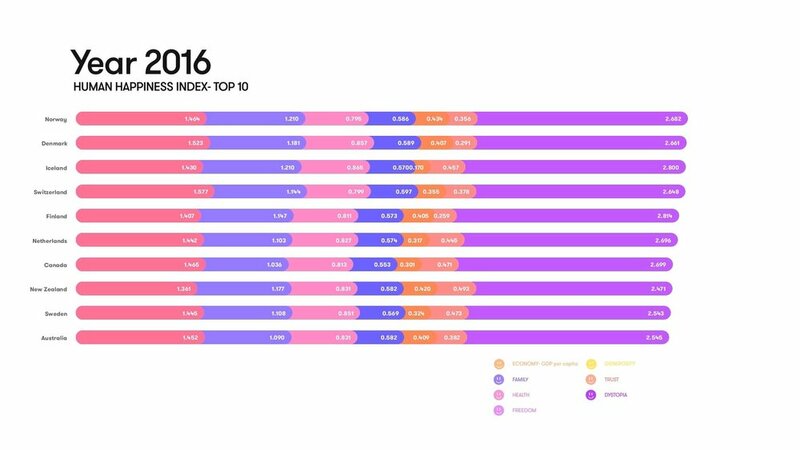 For this project, coding in Processing seemed to be the right tool to use to illustrate the Human Happiness Index from 2015 to 2017. 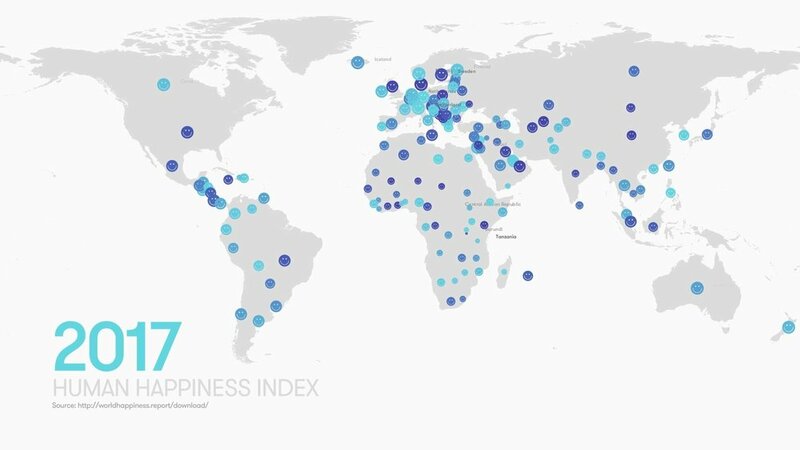 “The World Happiness Index is a landmark survey of the state of global happiness. 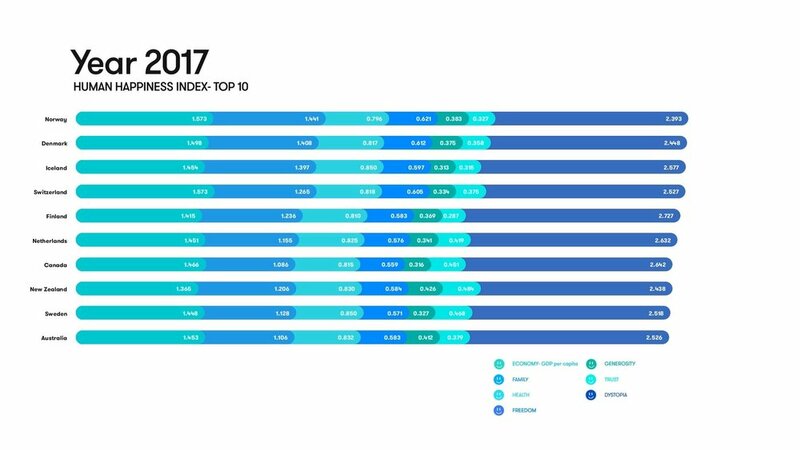 The World Happiness Report ranks 156 countries by their happiness levels…” ( worldhappiness.report ). 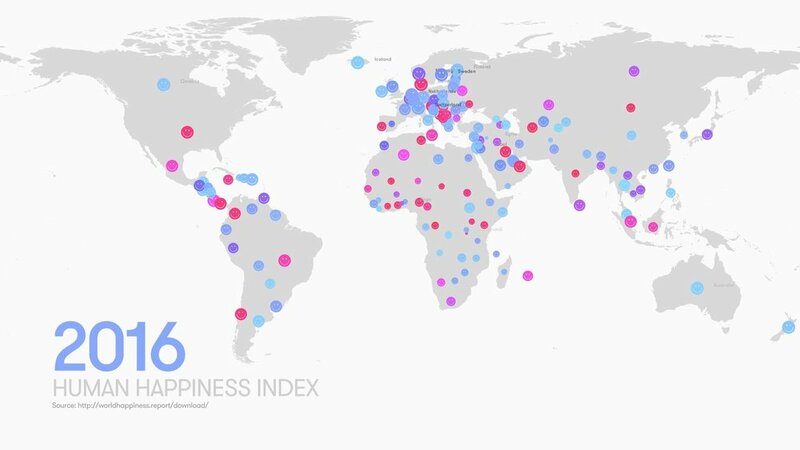 For the map animation I compared each the overall happiness scores, so that the largest circles show the happiest countries, while the smaller circles show the least happy ones. For this project I used Processing as a means to illustrate the data and create these two infographics. Learning how to code was definitely a fun and fulfilling aspect of this assignment, and I hope to expand my knowledge on it in the future.